The Landsat 8 satellite orbits Earth approximately once every 100 minutes, with each orbit traveling a different path. 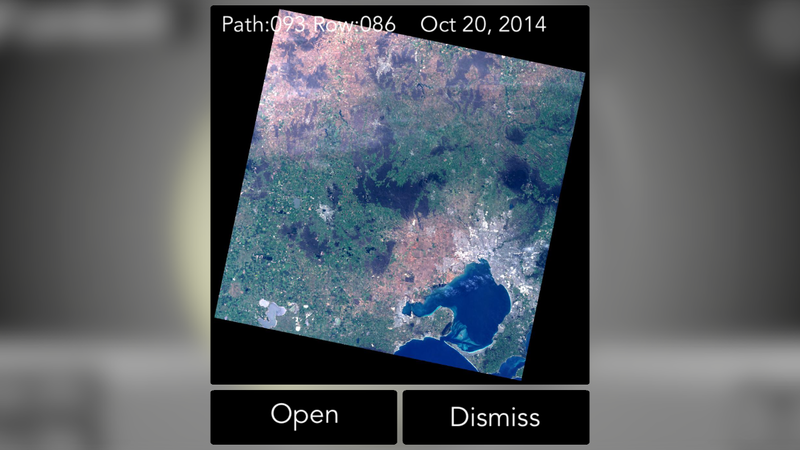 There are a finite number of paths, and Landsat 8 will repeat the same path once every 16 days. 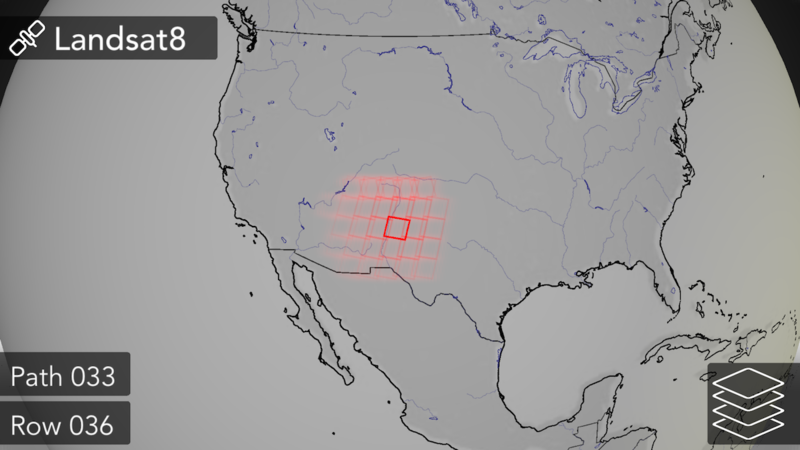 Each path is broken down into a number of rows, Landsat scanline data is grouped into rows. The combination of a unique path and row identifies a Landsat scene, in its raw form Landsat data is made available on a scene-by-scene basis. Scenes for all land areas are shown below (red boxes). These same scenes are displayed within ObservedEarth, although the number of scenes displayed at any one time is limited to reduce visual clutter. Note the path and row of the centremost scene are displayed in the lower left of the earth view. 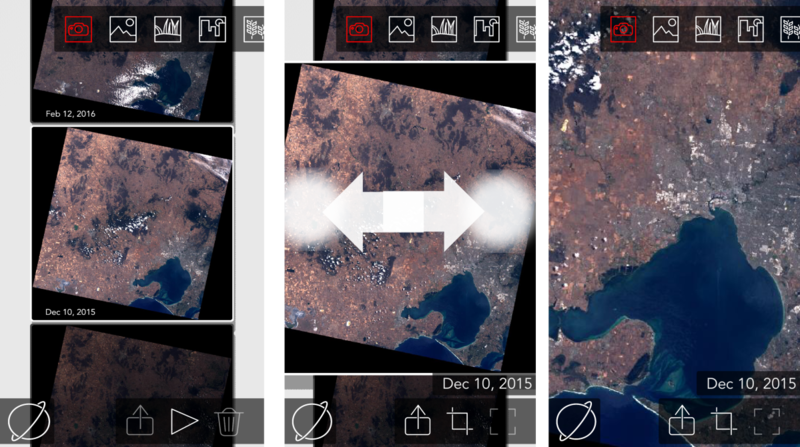 Double tapping the earth view will present a cloud free preview image of a single scene as shown below. On the iPhone 6s 3D touch peek and pop gestures can also be used to open this preview. The complete set of scenes through time can be downloaded by pressing the Open button. This will open the time series view and automatically download all preview images of scenes that satisfy the specified cloud coverage threshold (refer to settings). From this view it is possible to remove unwanted scenes by either swiping a scene to the right, or selecting a number of scenes by tapping and then pressing the trash button. 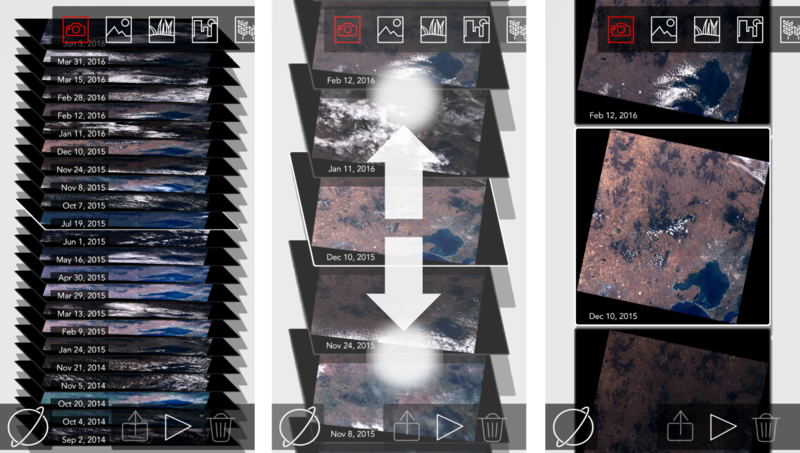 Individual scenes can be viewed by using a pinch gesture to expand the time series view. Once fully expanded, pinching a specific scene will zoom in on it’s contents to give a closer view. Zoom mode allows cropping the scene extents, higher resolution data can be accessed when the spatial extents of the data being viewed are reduced.